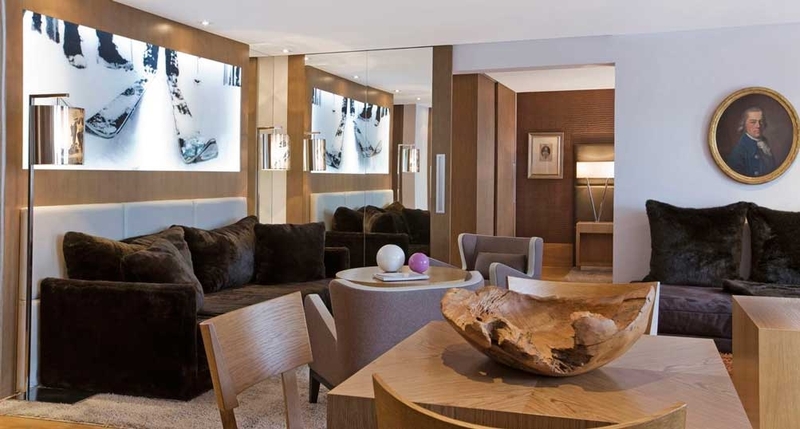 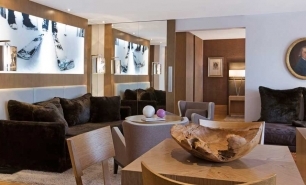 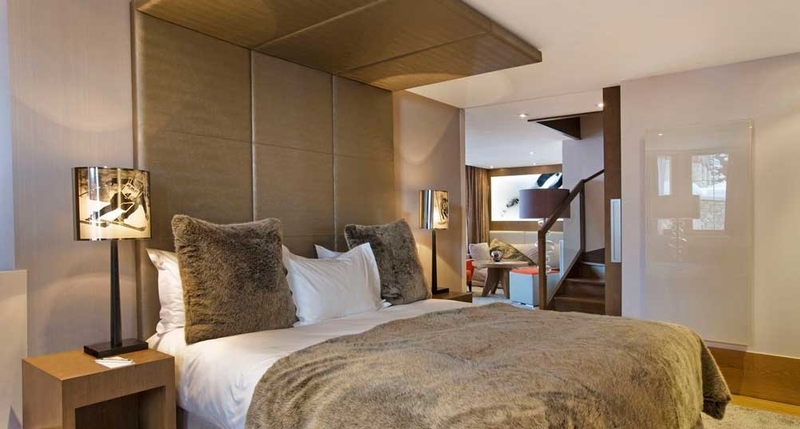 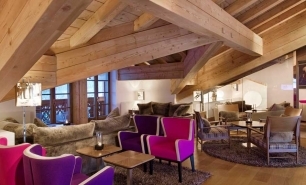 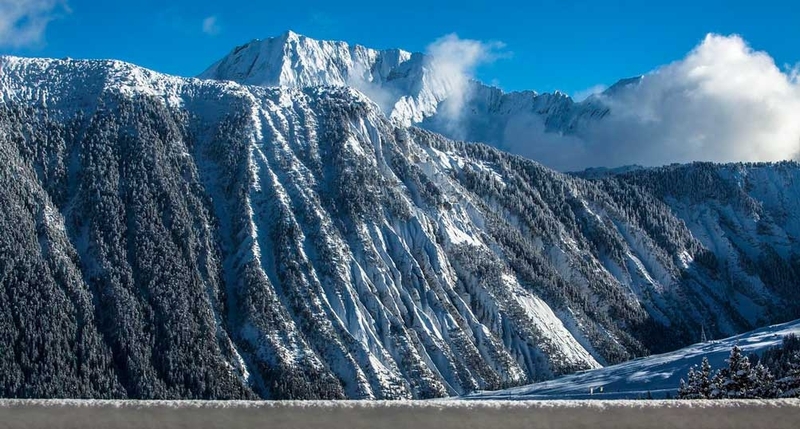 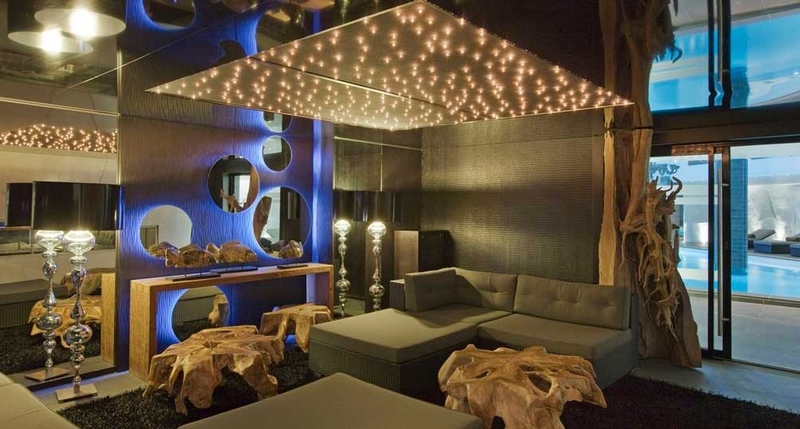 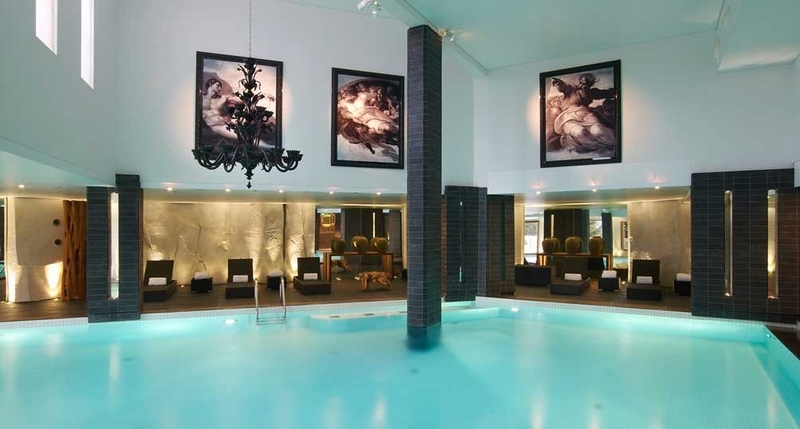 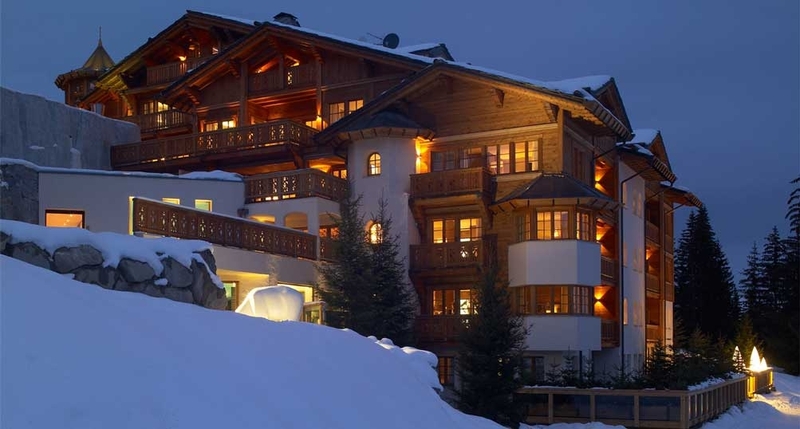 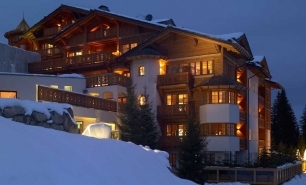 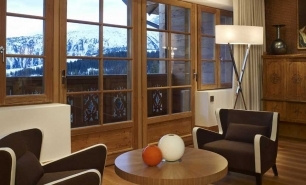 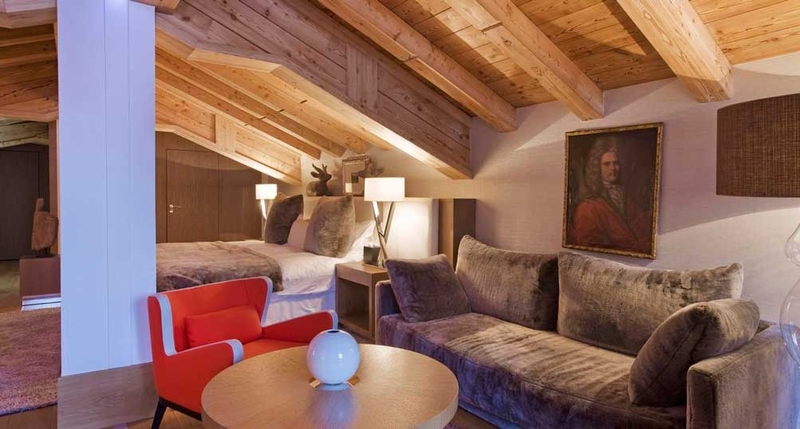 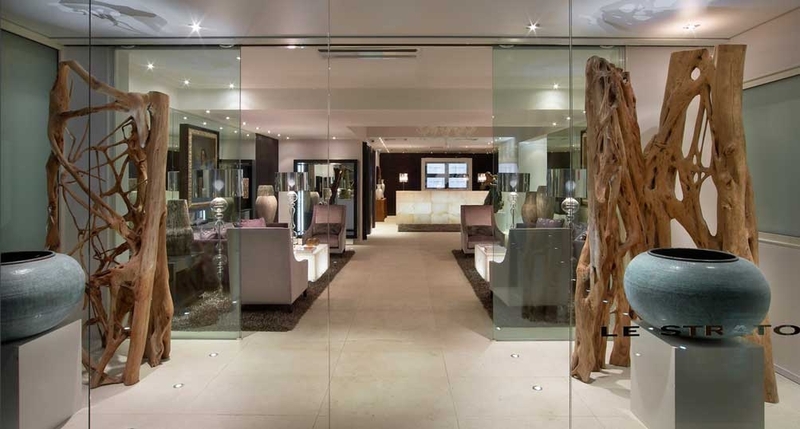 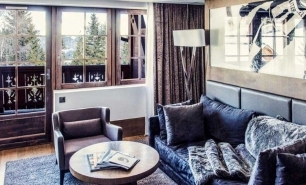 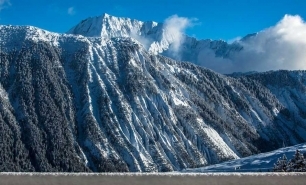 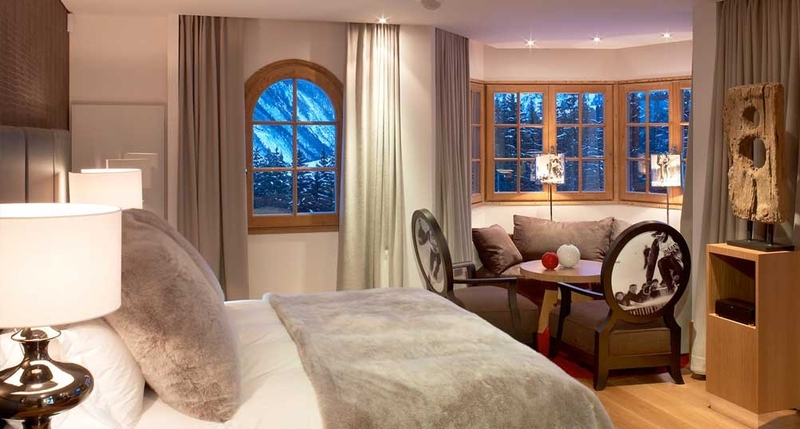 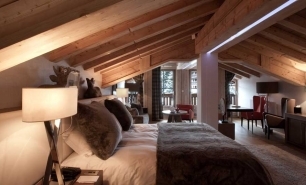 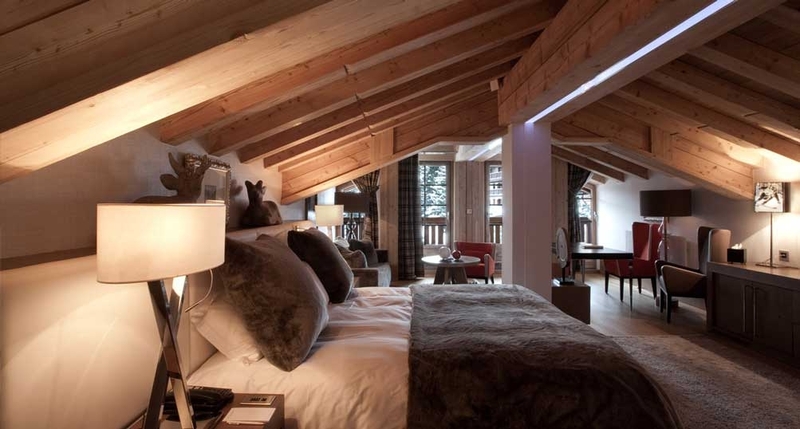 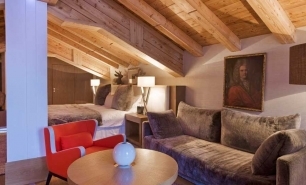 Hotel Le Strato is situated at the foot of the ski slopes in Courchevel (formerly Courchevel 1850), one of Europe’s most exclusive ski resorts and the most exclusive in Three Valleys, the largest connected ski area in the world. 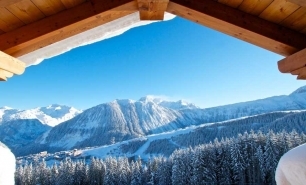 It is renowned for its excellent lift system which remains entirely queue free, even during peak season. 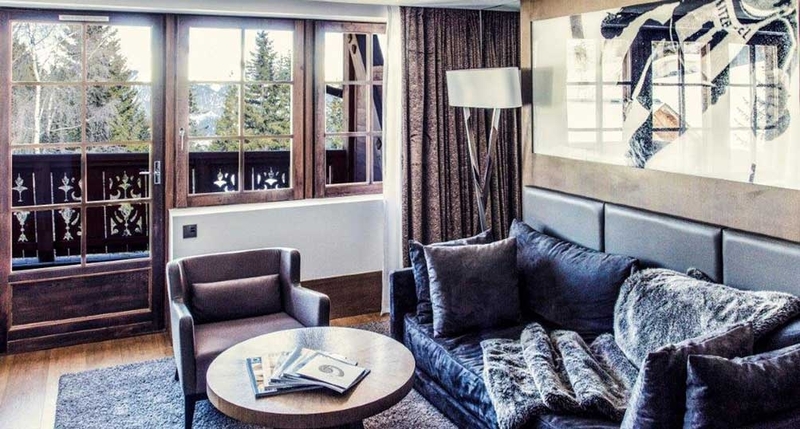 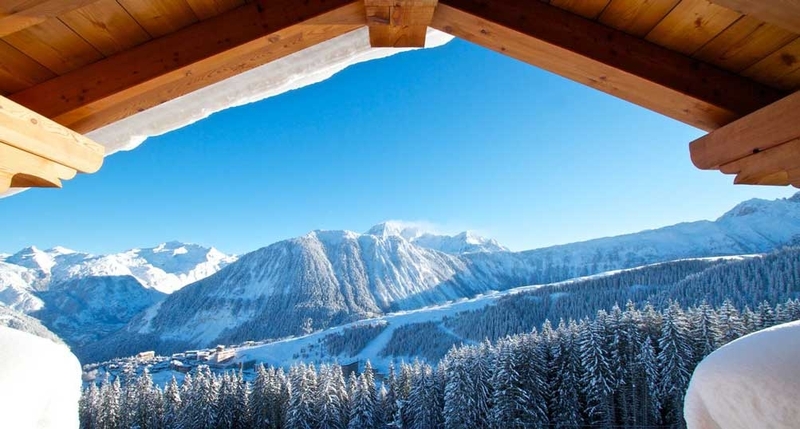 The exclusive village of Courchevel attracts VIP clientele and royal families from around the world. 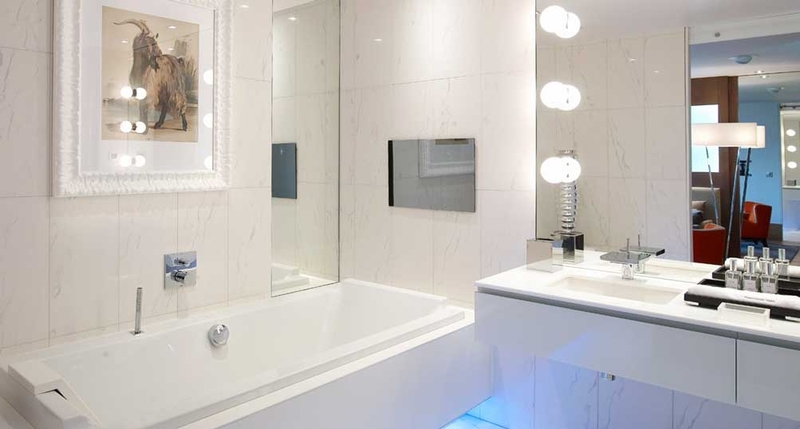 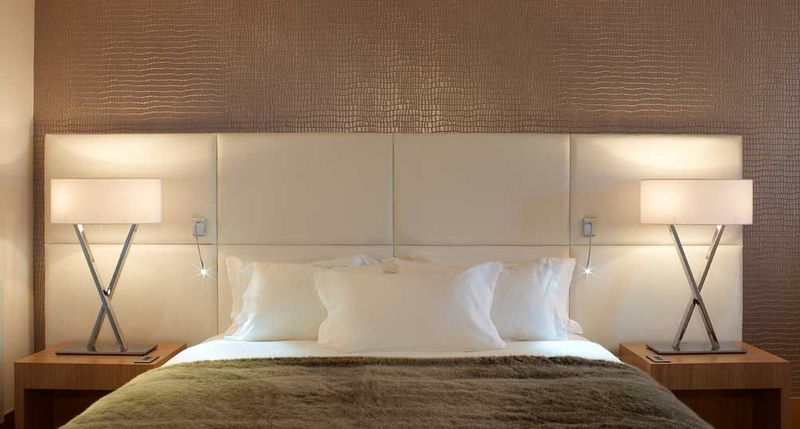 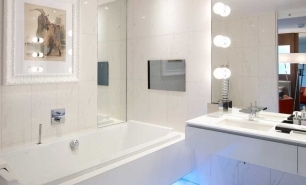 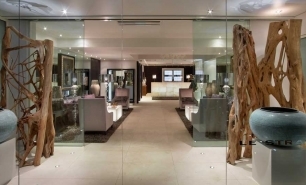 Hotel Le Strato opened in 2009 and boasts elegant contemporary design. 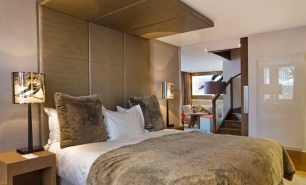 It has 25 spacious guestrooms including 2 rooms, 21 suites, and 2 apartments. 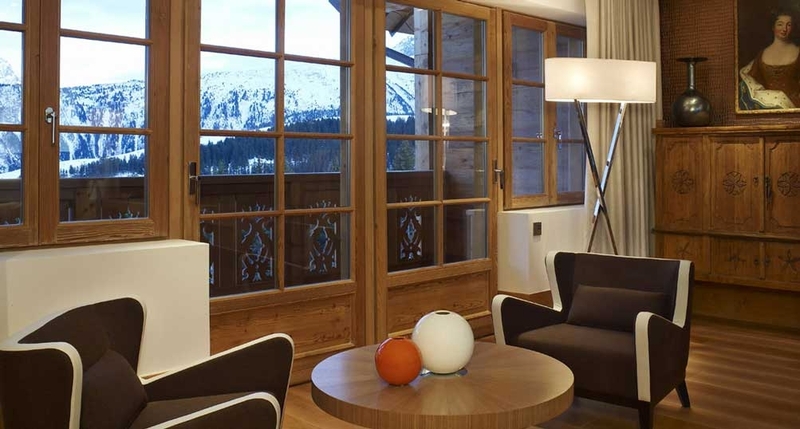 Some of the rooms have separate living rooms and stunning views of the surrounding mountain scenery. 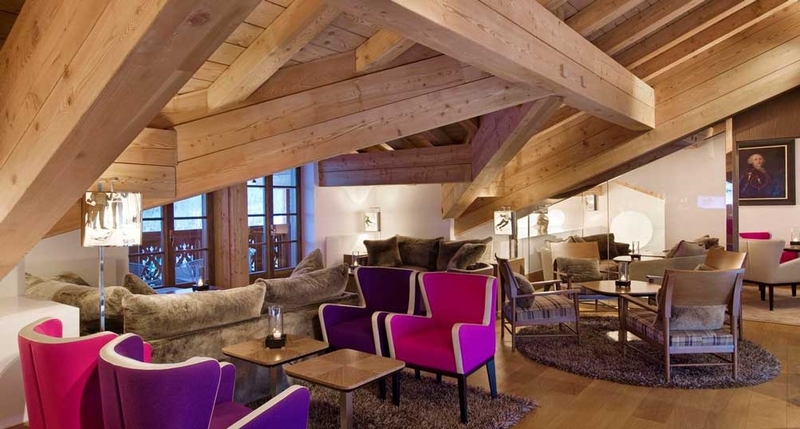 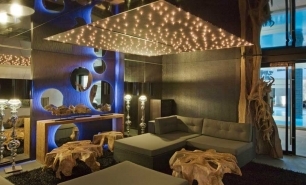 Courchevel is well known for its fine dining venues and Le Strato can certainly be included amongst them. 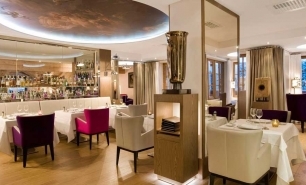 Le Strato’s restaurant serves traditional Mediterranean and Alpine cuisine. 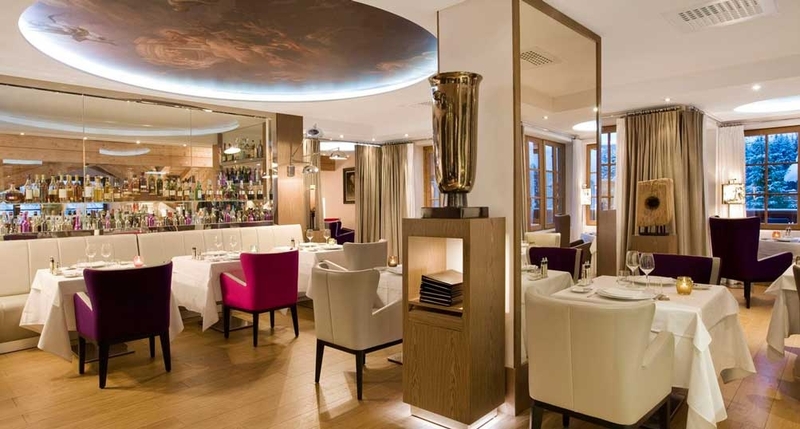 The fine dining options outside of the hotel are also excellent and include several Michelin starred restaurants. 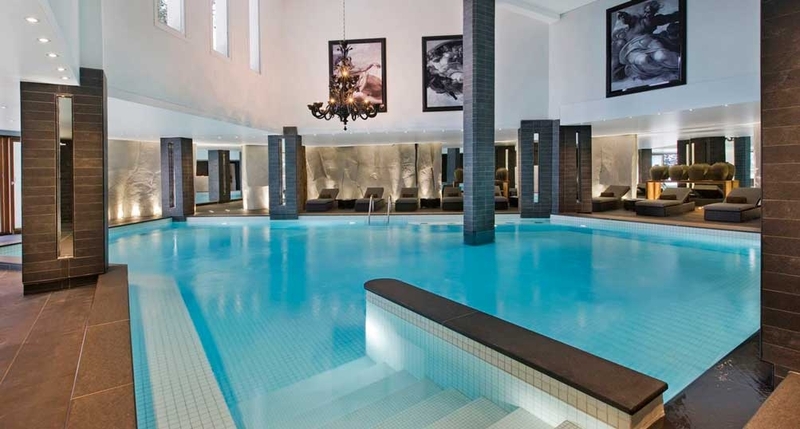 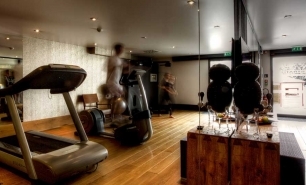 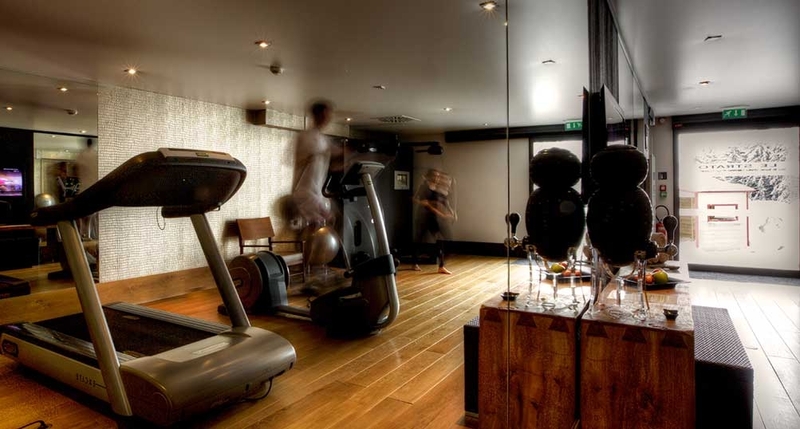 The hotel’s 800sqm spa includes a vast swimming pool with floor to ceiling views of the mountains, sauna, Turkish bath, Jacuzzi and also includes a state-of-the-art fitness centre.